RAB Manufacturing Pty Ltd is owned and operated by Richard Bingham. Having worked in the machinery industry for over 20 years, Richard identified a need in the market and, having the necessary skills and experience, decided to start his own CNC machining business. Flexible, personalised and friendly service. 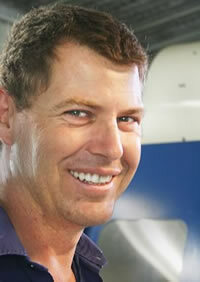 He has since operated a very successful CNC machining business in Brisbane since 2007. One small team in an integrated workshop controls the end-to-end production ensuring the best possible communication with the client and throughout all stages of production. With one team controlling the end-to-end production, this results in high quality, fault-free components, first time, every time. Richard is a certified Fitter & Turner with over 20 year's experience in the manufacturing industry (including specialist programming in Fanuc ISO and Mazak Mazatrol, mig and oxy welding and repairing various types of machinery). He has been managing tool rooms and high volume production workshops since 1998.